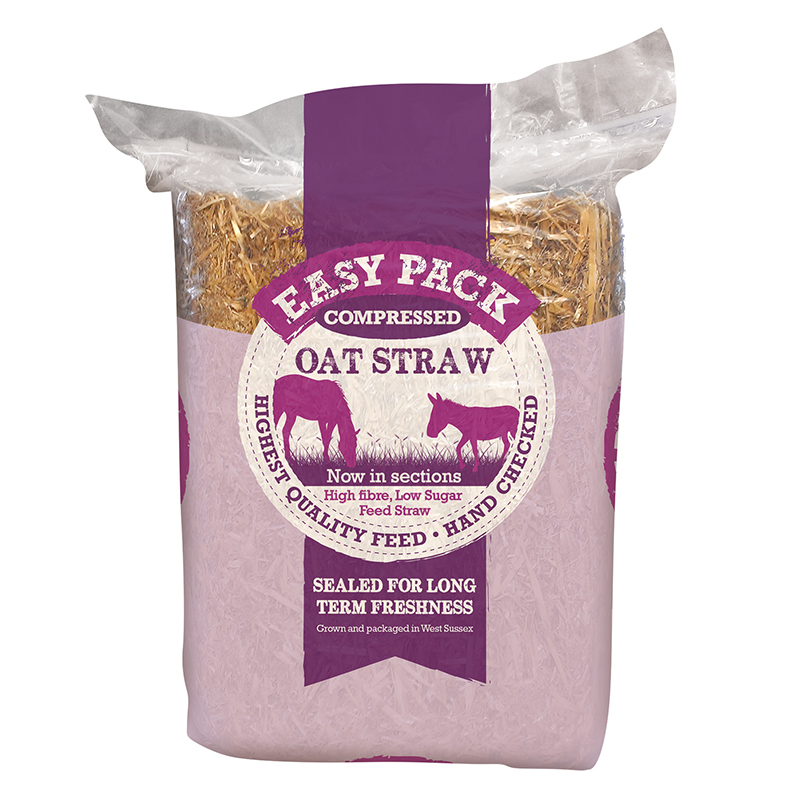 Easy Pack use premium quality local oat straw. Oat straw is an excellent source of fibre and is low in sugar and can be used for horses, ponies and donkeys that require a low sugar, low starch and low energy diet. 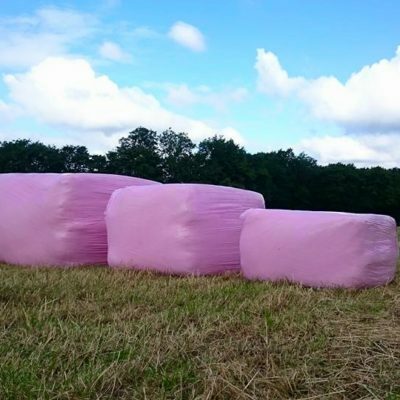 This can be used as a partial hay replacer to reduce the calorie intake from hay or haylage ration, especially where horses or ponies are watching their weight. It will also help to satisfy their appetite and keep them full. To give your horse’s digestive system time to adjust to the fibrous straw, gradually increase the quantity of straw in the diet over a two week period. Our compressed straw is made using clean bright coloured barley straw. This then compressed and sectioned into a manageable size package which is roughly 1/3 size of a conventional bale but still 20kg. Convenient, clean and easy to transport. Sealed to reduce dust and water contamination. Compressed takes up less storage space than a standard bale but still has the same amount of product. Packed in sections to allow you to feed more accurately. Natural product with no added chemicals allowing your horse a natural diet.